Black Female Mormon Candidate Claims “There Is No Racism”. She’s the Mayor of Saratoga Springs, Utah. A wife and mother of three, and she’s running for Congress. She will be the darling of the RNC in Tampa this Fall, just watch. Probably because she believes, the Congressional Black Caucus is “demagoguery. They sit there and ignite emotions and ignite racism when there isn’t.” Is this woman serious? 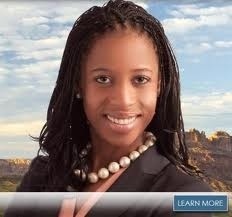 Apparently, Mia Love, a black, female Mormon really feels this way. She espouses all the values of her party: excessive oil production, the Keystone Pipeline, no more Department of Energy, Education, funding for the poor cut to ribbons and the pro-life stance of fundamentalist Teabagger like Governor Transvaginal Ultrasound Bob. She is the new right wing darling, with the backing of loathsome Republicans like Paul Ryan, the Budget Munster and Eric Cantor, the most hard-line right wing Brittney Spears fan in the House. She is of course endorsed by the poster woman for stay at home moms, Ann Romney, the famous Mormon owner of Dressage horses and car elevators. Yeah, Mia, the Congressional Black Caucus is known for unjustified claims of racism. It’s not like we had Jim Crow laws, voter suppression, portrayal of the first Black President as a monkey or watermelons drawn in on the White House lawn. It’s not as if there’s been endless claims we have a Kenyan as our president and every black official he has nominated has been attacked and scrutinize more times than any in history. It’s not as if we incarcerate blacks and minorities at a rate of FIVE times greater than whites. You’re right, Miss LDS, there’s no racism in this country. It’s the figment of the Black Population’s wild collective imagination. Let’s just say she can truly convince herself of this, maybe because she has to pander to the Right worse than Mitt Romney saying burrito at a Taco Bell with an accent. Let’s assume this for a minute. Can she really deny the racism inherent in the religion she has chosen to convert into? This is a religion where, until 1978, Blacks and Native Americans were considered cursed Lamanites. If Mia had gone to LDS Sunday school and learned about herself when she was three, she would have learned she was somehow inferior. Mormons consider themselves God’s beautiful, blessed white children with blond hair and blue eyes, preferably. To quote a Southern Utah teacher: “and YOU are all white and delightsome to our lord and he has special plans for you in this world.” Unfortunately for a Native American child, that was not the case. The Book of Mormon sees the dark skin as a curse. A curse for not taking sides in the epic battle of Jesus and Lucifer. They believe the darker the skin, the more out of Heavenly Father’s favor you are. 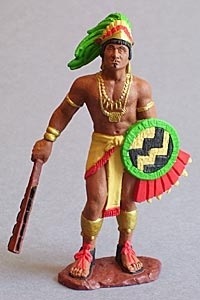 And the skins of the Lamanites were dark, according to the mark which was set upon their fathers, which was a curse upon them because of their transgression and their rebellion against their brethren, who consisted of Nephi, Jacob, and Joseph, and Sam, who were just and holy men. The Book doesn’t care for dark-skinned “savages”. It is very clear on that. Growing Up Brown and Female in the Mormon Church gives more insight into this indoctrinating cult. This Mia chose this as her faith? She despises folks on welfare it seems. She says her parents said to never take a hand out. Not everyone is quite so fortunate to have everything turn out perfectly in their lives. Perhaps a medical tragedy has never befallen a family member or chronic illness because either of those things would surely lend her sympathies to the sufferings of so many needy Americans. Then again, she’s taken up with right wingers like Sarah Palin, so perhaps she’s just a heartless neocon pawn that fits a niche which the GOP is sadly lacking: females with color. She’s their new superstar, a woman that looks like the demographic they feel nothing for, yet will spout off the party rhetoric. She is the token black female who will be their new “pitbull with lipstick”. Just what racism needs in this country: someone to justify it some more. If this woman was brainwashed to become and stay a Mormon, then she could easily be brainwashed into anything: Tea Party, “Racism does not exist”, “Obama is a Muslim”, etc. I completely agree. The force is strong with this cult member. She’ll do well for her Republican Sith overlords. I also worry for her future if Romney is elected. GOP won’t have a use for a black politician like her if they decide they don’t need the black vote. Remember Michael Steele, the first black RNC chief? He was gone as soon as GOP won the 2010 midterms. Has Mia Love never even studied the doctrines decreed by her cult’s prophets? Please, somebody send her these quotes! Reread this Mark. Remember when this was our big issue? The good ol’ days.